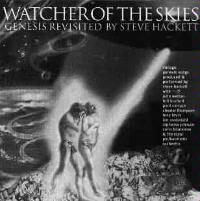 Genesis guitarist Steve Hackett has assembled a wide variety of musicians to rework many classic Genesis songs. The end result is quite interesting. Some songs are quite true to the original, some are quite different. Some are wonderful, some not quite so impressive. In general, this is an intriguing work, that is quite satisfying for the fans of old Genesis. Musicians joining Steve Hackett on the album include John Wetton, Bill Bruford and Tony Levin. Very true to the original version, this track is very ominous and mysterious in the intro. The number gradually builds into a very strong performance. The musicians on the track are John Wetton, Steve Hackett, Bill Bruford, Tony Levin and Julian Colbeck. Other than two aspects, this is a very faithful cover of this Genesis classic. The elements that vary this version from the original are a gritty guitar introduction and strange, spooky vocals (similar to the Horror-based prog band Halloween). The lineup for this number is Steve Hackett, Chester Thompson, Alphonso Johnson, Julian Colbeck and Will Bates. The musicians here, Hackett, Nick Magnus, Jerry Peal and Hugo Degenhardt, put in a nice performance on this instrumental guitar showcase. An adult contemporary format is given character by a strong instrumental break and solid guitar stylings. Hackett, Paul Carrack, Pino Palladino, Hugo Degenhardt, Roger King and the Sanchez/Montoya chorale are the musicians on this piece. A refreshing change in this rendition, which, otherwise, is very true to the original song, is made by a very intriguing orchestral instrumental break. Hackett, Bill Bruford, Ben Fenner and John Wetton all put in solid performances on this cut. Colin Blunstone, Steve Hackett (with two others providing the orchestration), produce a pretty and delicate performance of a song which has always been quite enchanting. This song has always been one of my favorite Genesis songs, but this rendition has far too much of an adult contemporary sound (in the vein of late era Doobie Brothers). The musicians here are Hackett, Paul Carrack, Aron Friedman, Richard Macphail, Jeanne Downs and Richard Wayler. This tune has always been a very dramatic and powerful piece. Here the musicians (Hackett, Chester Thompson, Alphonso Johnson, John Hackett and Julian Colbeck) turn in a rendition which, (other than a vocal line in the first verse that is in the vein of death metal and a short orchestral break), is quite faithful and well executed. According to the liner notes "The Lamb Lies Down on Broadway had an atonal jam called The Waiting Room-we tried to recapture its spirit by similarly abandoning form here and creating a whole new piece in the process which we`ve titled Waiting Room Only. " The result is a very solid piece with textures ranging from beautiful to unnerving. The musicians on this track are Hackett, Roger King, Hugo Degenhardt, Will Bates and the Sanchez/Montoya Chorale. This number features `60`s rock, blues and jazz modes, which make it an unusual reworking. The result is somewhat familiar in certain ways, yet completely new in many others. The musicians on this piece are Hackett, Tarquin Bombast, Will Bates, "Spats" King, Aron Friedman and Nobody. The musicians on this piece are Hackett, Ian McDonald, Pino Palladino, Hugo Degenhardt, Roger King and Chester Thompson. This seems to be a somewhat of a modernization of this Genesis classic with some interesting changes. This version is a unique prog rock/fusion instrumental full of surprising twists and turns.